The way you breathe directly influences the quality of your life, your health, and how you feel. 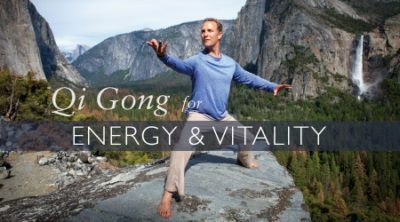 Deep, relaxed, full breathing, plus gentle, flowing motions, clears stress from the mind and tension from the muscles, massages the internal organs, oxygenates and energizes the body, relaxes the nervous system, and integrates mind, body and spirit. The benefits of working with the breath are profound in many ways. The way you breathe directly influences the quality of your life. In fact, the way you breathe might be the most important element to your health, vitality, and how you feel. 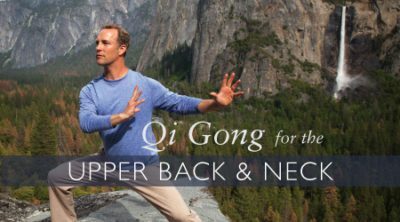 Qi means energy, the body’s life force. There are lots of different kinds of Qi: the energy we get from food, from nature, from each other. But the quickest source of Qi is breath. Breath unleashes the vital energies of life. Inhale fully to be inspired and take in more of life; exhale completely to expel the old and no longer useful out of the body. This process refreshes the system in every moment, clearing out stagnant emotions and thoughts and taking in the new possibilities with each breath. If we cannot inhale completely, psychologically we cut ourselves off from new experiences, adventure, and creativity. If we cannot exhale completely, we hold onto the past and are weighed down by old emotional hurts and wounds. To breathe is to be alive. To breathe deeper is to delve into life more fully. Provides cells with sufficient oxygen for optimal functioning. Clears stress and tension from the muscles. Supports the lymphatic system for cleansing the blood. Massages the internal organs for better functioning. Acts as a bridge between the mind, body, and spirit for balance. Helps us harmonize our nervous system and reduce stress.